Cheryl “Action” Jackson is an author, motivational speaker, television show host, PK and philanthropist with a true story of triumph. Just as her famous nickname suggests, Cheryl Jackson is a woman of action! She boldly overcomes barriers and has become known as one who creates her own opportunities for success. Jackson began her career working in a car dealership where her salary was close to minimum wage. However, after being inspired by a trainer who challenged her ability, the always-determined Jackson was promoted and quickly rose through the ranks. Even though she lacked a college degree, Jackson traveled across the country making a high six-figure income! Jackson knows all too well of life’s challenges. She experienced a brief period of homelessness and hunger. The challenges she faced inspired her to help others in similar situations. In 2008, Jackson put action with her intentions and founded Minnie’s Food Pantry. The pantry is named in honor of her mother, Minnie Ewing. Minnie’s Food Pantry is one of the largest food pantries in Collin County and has distributed over one million pounds of food since its inception. At Minnie’s Food Pantry, Jackson and her staff literally roll out the red carpet for families who come in to receive food. The pantry has fed more than 100,000 people to date. Jackson is the author of a book called, “What in The World Are You Doing?” and has recently been announced as the host and producer of a show called Take Action on the new Alright TV network owned by Robert Johnson and Tracey Edmonds. Cheryl has been the keynote speaker for numerous corporations including The Zig Ziglar Corporation, Pepsico, TGI Fridays and the God’s Leading Ladies Life Enrichment Program at The Potter’s House of Dallas. Jackson has won numerous national awards and recognitions for her community work through Minnie’s Food Pantry. She recently won the national “Lady Godiva” award and was featured on The Steve Harvey Show as a “Harvey’s Hero,” where she received $25,000 from Hillshire Farms. America fell in love with Cheryl Jackson when she became the first winner on the new television game show, The American Bible Challenge; winning $25,000 for Minnie’s Food Pantry. She was also awarded $30,000 by BET Network to continue her mission of feeding the hungry. In addition to her work with Minnie’s Food Pantry, Cheryl Jackson is a highly sought after motivational speaker, media personality and author. Jackson has been featured on numerous national television shows including, ABC World News with Diane Sawyer, The Talk, Deal or No Deal, The Marriage Ref and The Oprah Winfrey Lifeclass Show. For more than two years, she penned a column in the Dallas Morning News called “Take Action,” and she produced her own television show called Living On Purpose where she interviewed countless celebrities including Magic Johnson, Charlotte Jones Anders, Bishop TD Jakes, Will Smith, Deion Sanders, Emmitt Smith and Oprah Winfrey. 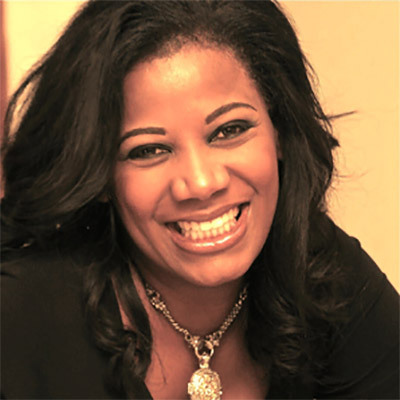 Cheryl “Action” Jackson has been hailed as a Renaissance woman who delivers dynamic messages of how faith, determination and action all work together to create success! Jackson resides in Plano, Texas with her husband, Artis. They are the parents of two adult sons, Artis, Jr. and Robert. They have one granddaughter, Camille Ann Jackson.